1. This week has been about reading. A lot of reading. I realized on Sunday that I had 3 books due back at the library on Wednesday and I hadn't started even one of them. 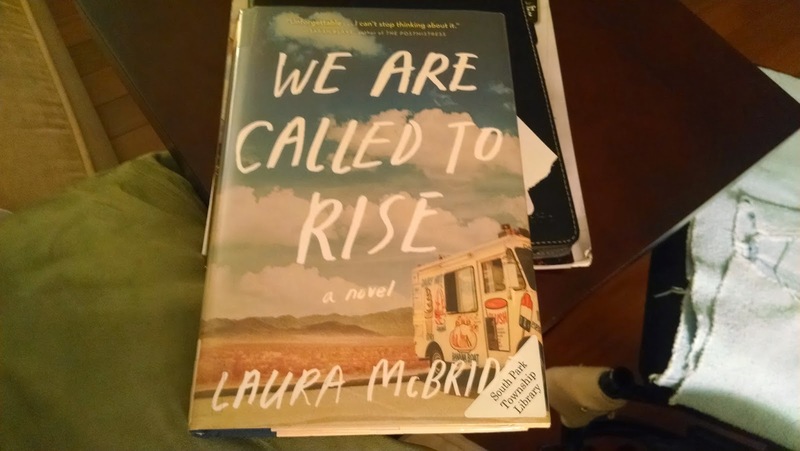 I read We Are Called To Rise first. I know I am a sensitive sap, and this novel broke my heart and made me cry, for all the characters, but even though it doesn't end all wrapped up with a neat bow, it shows the strength and courage and resilience of people to right wrongs and help one another out. I tackled Fourth of July Creek next. I didn't mean to read dark, sad books this summer, but like We Are Called To Rise, this book is sad. The characters are wonderful, if flawed, and I couldn't put the book down. 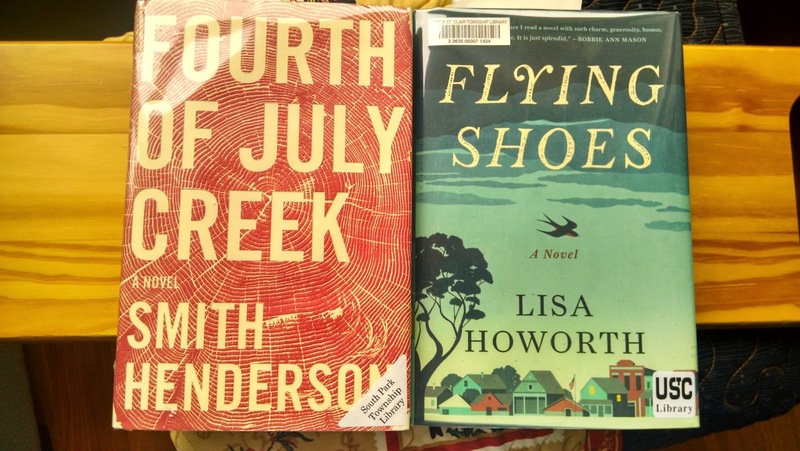 Finally I read Flying Shoes, perhaps the one of these 3 I enjoyed the least, but it was still a good read. I thought it was going to be more about the cold case murder, but instead it was more about the people in a Mississippi town and then about the family of the crime victim, 30 years later. I kept waiting for it to get to the return to VA to discuss the new break in the case and I was getting annoyed at how far along I was and it hadn't gotten there yet, but then I realized it was more about the characters and how they interact/what they think and less about the crime. 2. Summer is the best time for fruit! No bananas for breakfast these days - it's all about cherries, blueberries, and watermelon - plus, fresh mint. 3 It's mid July and we just enjoyed our first sliced tomato with fresh basil and drizzled balsamic syrup. I can't wait until it's tomatoes from our garden and not the store. 4. The summer is zipping by. Our niece/nephew in GA have only 3 weeks of summer vacation left before school starts! I made a list of things I want to do/try/accomplish before summer ends, but somehow I think we won't get to many, if any, of them. Things are already quite busy for the next few weeks. 5. Tomorrow is Kennywood Day! It's SP's work picnic and he's trying to entice me with promises of funnel cake, but since I can't ride anything, I think I might stay at home and ask him to bring home some Kennywood fudge.